Chris Stafford was ten years old when Feufollet formed and the dusty troubadour has returned thirteen years later with the well-seasoned and magnetic En Couleurs. Navigating the waters from childhood musicianship to that of maturing adult is treacherous, but add to that critical acclaim for 2008’s Cow Island Hop and the result could be lackluster. However, the Lafayette, Louisiana-based band geared up to color outside the lines and freed their creative gusto on a slew of original songs. For a band with a reputation rooted in traditional Cajun music, there is nothing staid about En Couleurs with its breezy blend of folk, country, and indie rock. 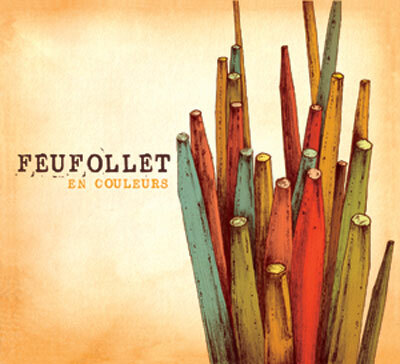 Feufollet, literally translates to “crazy fire” but the band prefers the colloquial “will o’ the wisp” for its amorphous meaning.